MIP 13.5 Aluminum Race Shaft Set For The TLR 22-4 2.0 « Big Squid RC – RC Car and Truck News, Reviews, Videos, and More! 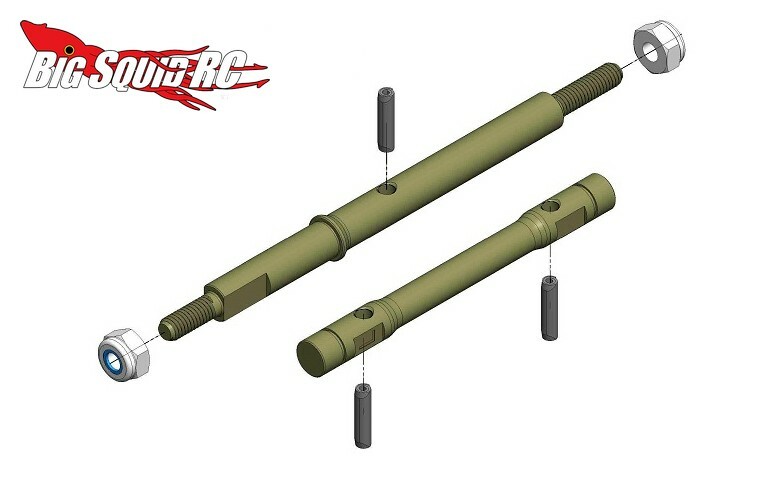 New from the MIP crew is the 13.5 Aluminum Race Shaft Set for the TLR 22-4 2.0 buggy. The set comes with a pair of lay shafts that are 60% lighter than the stock units they replace. The reduction in weight helps to give your buggy more bottom end acceleration. High quality 7075-T6 aluminum is used to make the shafts and they have been hard anodized for longevity. Street pricing for the set is just $19, they have a part number of #17030, and full details await you over on MIP’s Official Website.